Since March, a group of local brewheads has been hard at work organizing Vermont's first cooperative brewery and pub. This weekend, the fledgling Full Barrel Cooperative Brewery & taproom will host its first public brew day at Burlington's Intervale Community Farm. Organizers hope to make the event — during which visitors can sit in on a business meeting, pledge membership or sign up to volunteer — a monthly affair. Co-op treasurer and organizer Matt Cropp and others will pour samples of member-brewed Irish red ale and other beers, and Vermont Brewers Association director Kurt Staudter will speak on Vermont brewing history. On August 28, the co-op launched a pledge drive. Since then, Cropp says, dozens of people have signed up for a share of the business, which currently boasts about 80 members. The project, modeled after a successful community-run pub in Austin, Tex., is still in the organizing phase, as members work to expand their support base, form a leadership structure and mold a business plan. But Cropp is optimistic. "We're aiming to have a semipermanent space by winter's end," he says via phone. 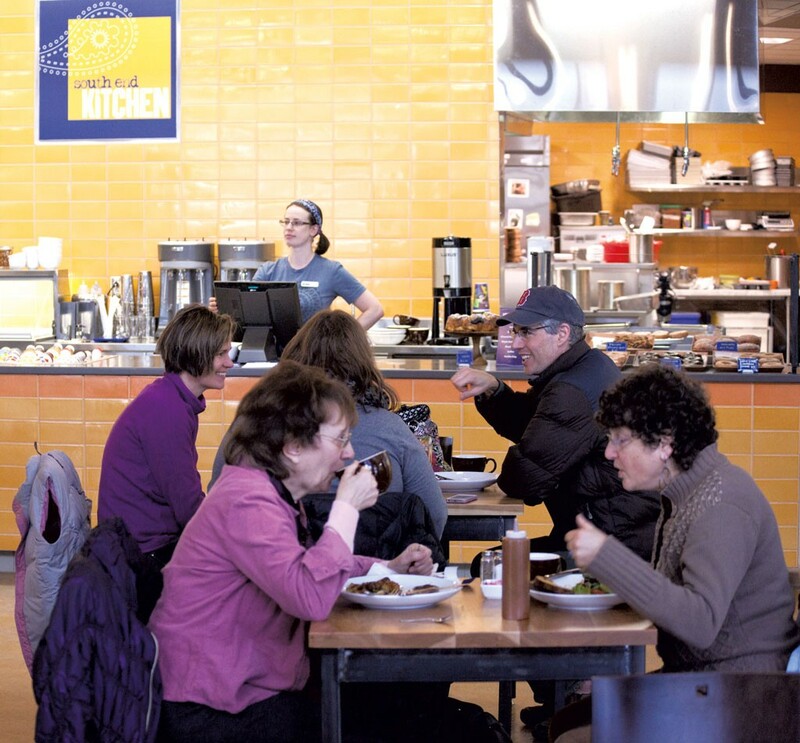 "The general goal is to have an operational space opened and up and running by next summer." And a tasting room? "Hopefully sooner." Vermont Fresh Network executive director Meghan Sheradin has noticed a troubling trend at the network's annual forum. "We've got chefs who have been chefs for 12 years, and people in Burlington are like, 'Oh, are you new? I've never heard of you,'" recounts Sheradin. When VFN got an invite to host some events at South End Kitchen in Burlington, Sheradin didn't hesitate to choose a theme. The "Beyond Burlington" dinner series kicks off on Sunday, September 7, with a dinner prepared by Charlie Menard of theInn at Round Barn Farm. Menard's "Tomato Harvest Celebration" is the first in a pilot group of four dinners that will introduce Burlington to top chefs plying their trades outside the Queen City. Each dinner will be prepared in South End Kitchen's education kitchen for 30 diners. The classroom setting allows diners not only to watch the chef in action but to hear the stories behind the food. Menard's meal includes five courses, including pappardelle with corn, chanterelles and crushed heirloom tomatoes; and his award-winning sweet-corn ice cream with tomato jam. "Beyond Burlington" dinners are planned through the end of the year, with a different chef cooking on the first Sunday of each month. They will showcase the talents of Lee Duberman of Ariel's Restaurant in Brookfield, Jason Tostrup of Epic at Okemo Mountain Resort and Amy Chamberlain, chef-owner of Manchester's the Perfect Wife Restaurant & Tavern. Last year, Black River Produce launched a meat production branch. The growth will continue, with former business development manager and ex-chef Sean Buchanan now named the company's first official president. Working on Labor Day, Buchanan told Seven Days of his plans. "We've never been a manufacturing company," he said of the company co-owned and founded by Steve Birge and Mark Curran. Now, "in a way, we are building new products." In the near future, Buchanan plans to oversee the release of smokehouse products, including bacon and sausage from Black River Meats. Other expansion plans include more branded BRP foods, including roasted nuts and imported Parmigiano-Reggiano. Just as the slaughterhouse has connected Vermont farmers to chefs, Buchanan hopes to grow the reach of other producers, including vegetable farmers, perhaps even by selling the produce out of state. One thing is certain: Vermont's biggest locavore supplier is just getting bigger.